Thank you so much!! Fast Construction causes a crash doesn't seem to turn on. But it's totally fine. I'm fine with the Instant Research and Max Creator. I can play smoothly now hahaha! 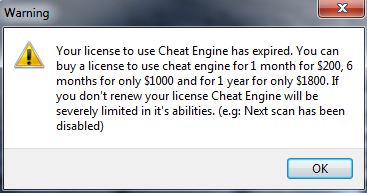 My game crashes within a few minutes of using the cheats. I'm having quite a peculiar problem. After i started using the latest table, the nuggets have stopped building completely. Prioritizing does nothing, cancelling and putting down a new building for construction, does nothing. They will HOWEVER make huts for themselves, and they keep screwing around, literally. They spawn, expand, but nothing else. If i use instant construction, put down a fishing watchamacallit or engineers thingey, give nuggets jobs, they do NOTHING. The nuggets don't freeze, but they sure as hell ain't doing much either. Anyone else having this? Did you activated all the tables??? Last edited by Hieppies on Sat Sep 01, 2018 12:49 am, edited 1 time in total. MEGA WARNING: Your old save games will no longer work with the hotfix applied. We performed a number of rewrites on the save/load logic to fix multiple issues and make the system more stable. We’re sorry for the trouble! - The autosave timer has been limited in order to solve some of the issues with autosaves. You can still press F7 to autosave (quicksave) at any time. - Shortened the number values for water & electricity. Last edited by fantomas on Thu Sep 13, 2018 6:30 pm, edited 1 time in total. The rest it crashes. Thank you for another update. also my nuggets freeze in place when i press the active cheat. any idea how to fix the freezing? it isnt a game bug, it works before i press the "activate cheat"
Mine does the same thing sadly This is the only one I really wanted to use, the rest would make the game kinda boring. Before using it, activate mono, play the game like 10 seconds before you activate the cheat. Don't use the instant research. Coz it's not working But if you really want the Instant research, use the V1 of hieppies table instead. It works perfectly there. It became frog, guys - Please specify which CT you're actually using/having issue. As far as I'm concerned, all my CT's scripts work well, the video posted previously as the proof of concept.